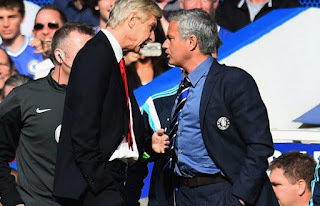 Arsenal manager, Arsene Wenger, has seemingly challenged Jose Mourinho to play expansive football, when they play Manchester United on Saturday. Mourinho was roundly criticized by pundits, after a boring 0-0 draw at Liverpool this season and most observers feel the Portuguese is rather careful when he plays big teams. Wenger says fans are keen to watch an entertaining match. “What will make the audience is the quality of the game and we have seen a few games since the start of the season that didn’t respond completely to the expectation level between two big teams,” Wenger said. “And I think it’s important that it’s a top level game because that will be watched all over the world. And for the reputation of the Premier League, it’s important that the quality of the game is good. 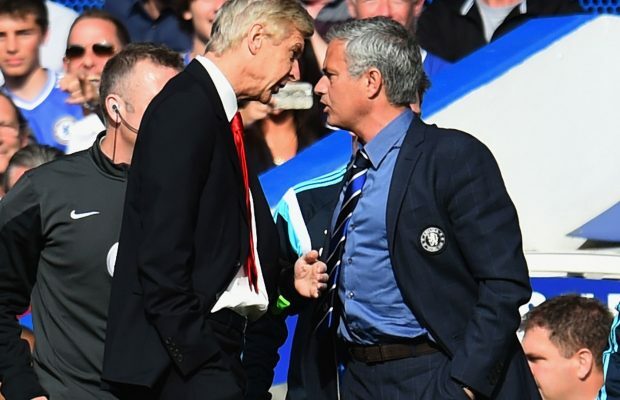 When asked to describe his relationship with Mourinho, Wenger who has had verbal exchanges in the past with the former Chelsea boss, was careful not to stir up controversy. “Look, I don’t think I have to describe our relationship. He will fight for his team and I will fight for my team and I think that’s completely normal,” Wenger said.